Shamrock Heights has an excellent range to perfect your skills. The two-tiered hitting area provides a good view of the various yard markers on the range. There is also a practice green for your use. Range Balls can be purchased in the Pro Shop for $8.00 a large bucket, $6.00 for a medium bucket and $4.00 for a small bucket. Range passes are also available for your purchase. 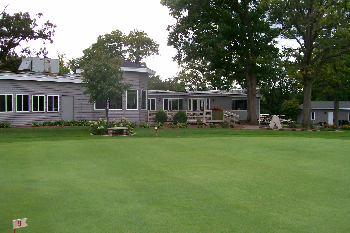 Shamrock Heights practice facility is great for warming up for your round or for a day of tuning up your game. We always have good range balls! Get Yourself A Range Package!